With a number of controversies this year, including an out of left field debate during the Main Event as to what is permissible to talk about when heads-up in a pot, the World Series of Poker has hopefully learned a vital lesson: Rules need to be clear and leave very little room for different interpretations! What really bothered me about the whole debate wasn’t so much that they had implemented a new rule –or more accurately decided to change the way they enforced an existing rule—it was the way that even after lengthy explanations players were still scratching their heads as to what the actual rule stated. Even more worrisome was that different tournament officials were giving different explanations of the same rule! Hopefully the WSOP irons out these “troublesome” rules before the 2012 WSOP. Another fiasco caused by a new rule was the “Hard-Stop Rule” which had the intention of preventing long nights for players and staff, but ended up causing an uproar when tournament officials strictly enforced the rule, and wouldn’t let players finish tournaments even during heads-up play, or wouldn’t call it a night early even if they just played down to the final table. Instead we saw numerous tournaments stopped at odd points, which many players felt ruined the flow of the tournament. I’ve actually noticed a single card missing when I was shuffling on one occasion, and many times have realized that the Jokers were not removed –AND I DON’T SHUFFLE CARDS EVERY DAY! So I am flabbergasted that WSOP dealers actually dealt hands with 44 and 60 card decks respectively! This is almost as bad, since I can’t imagine not realizing there are eight cards missing from a deck! 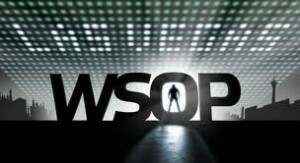 It took a few tournaments for someone to notice a major flaw with the decks being used at the WSOP, which means thousands of hands were dealt at the 2011 WOP with marked cards! It wasn’t until Jon Turner noticed an odd mark on the 5 of Spades under the bright lights of the main stage that tournament officials determined virtually every spade between 2 and 5 in every deck had a defect! This entry was posted on Friday, July 22nd, 2011 at 9:17 am and is filed under Poker News. You can follow any responses to this entry through the RSS 2.0 feed. You can leave a response, or trackback from your own site.